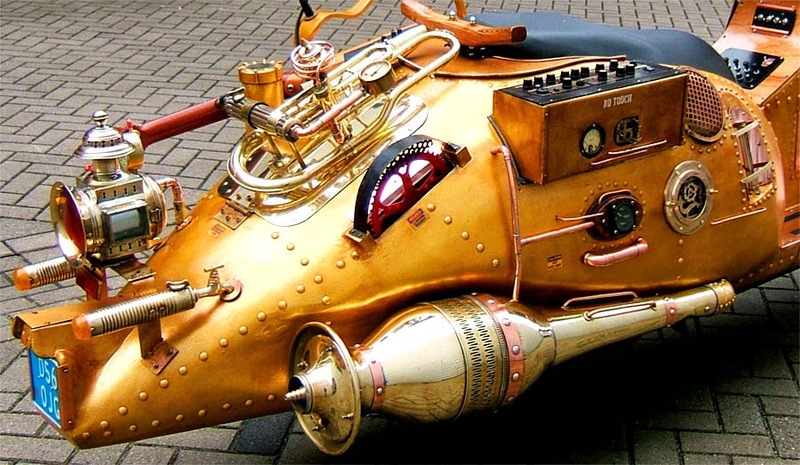 There is still a place for a Jules Verne-styled eccentric scientist in this world, after all! 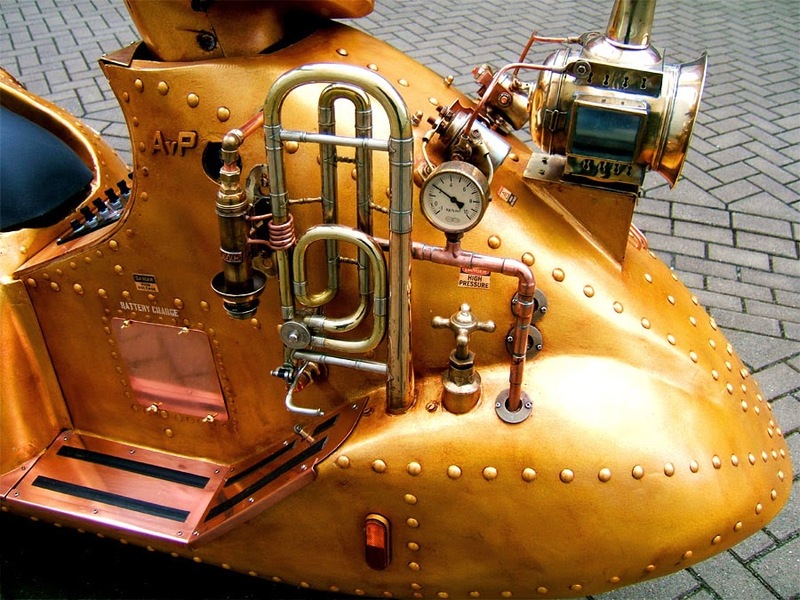 Today we have a special treat for you: not your usual, run-of-the-mill steampunk devices (although we love them by themselves, see our Steampunk Series for proof) - but fully realized mobile orchestra music machines, some capable of playing by themselves, some aiding the one-man-band musician lucky enough to operate one. 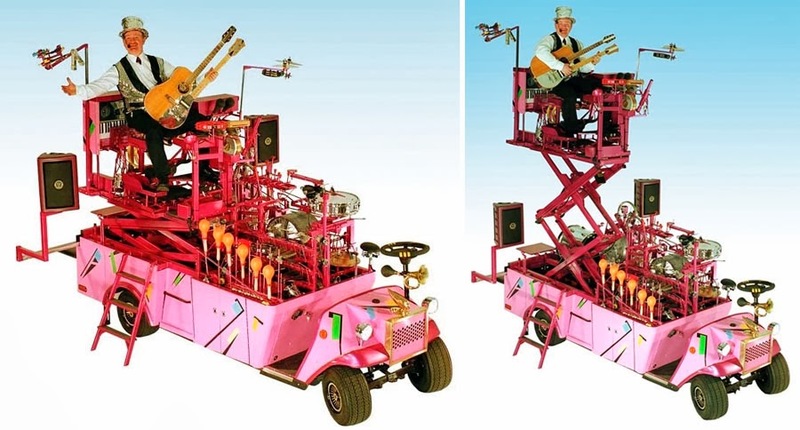 These machines are the outrageous creations by Arthur van Poppel from Tilburg, The Netherlands, who builds them in his own studio and them takes them for performances all across Europe. 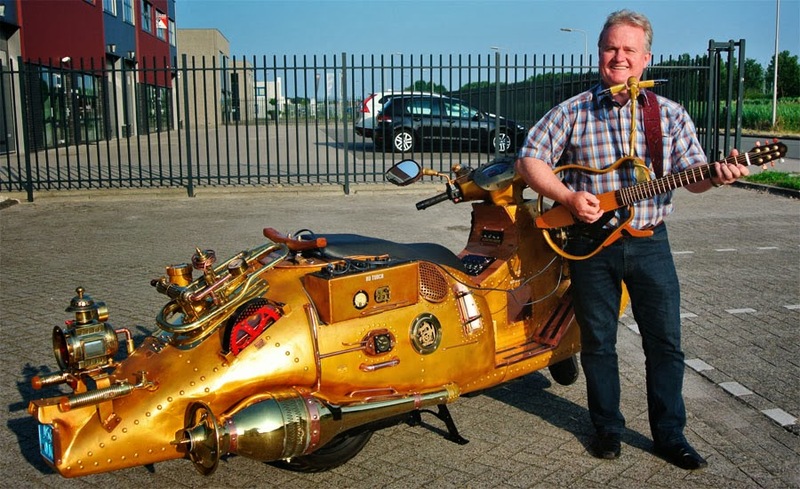 And he indeed can make music on it! 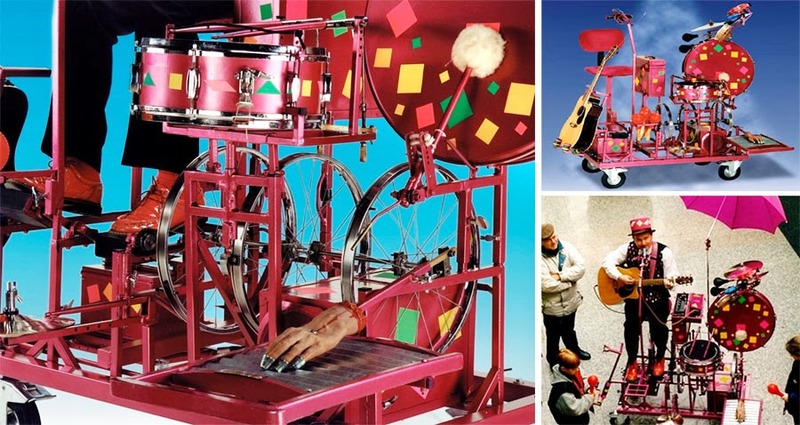 - Check out a couple of videos of this thing in action. 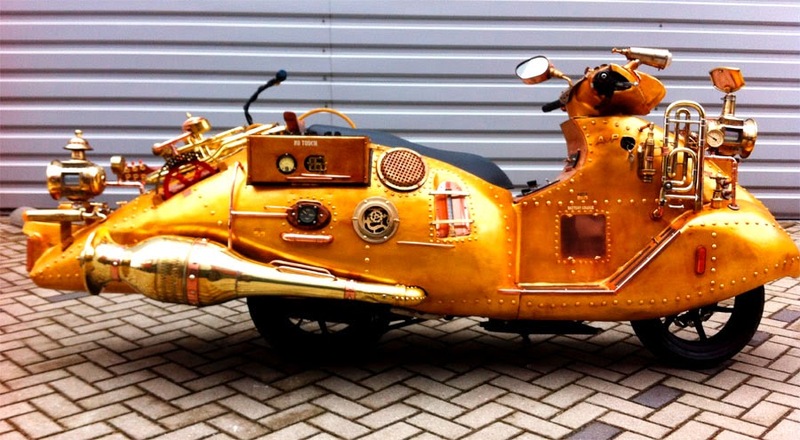 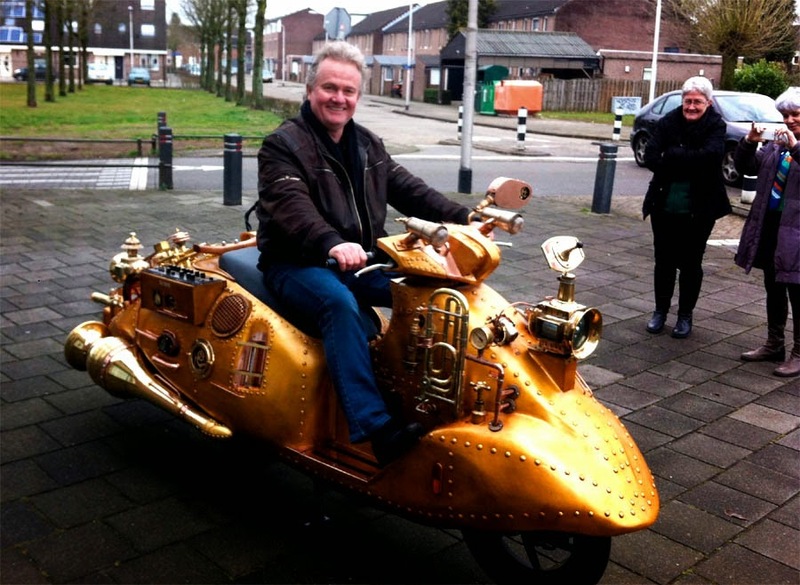 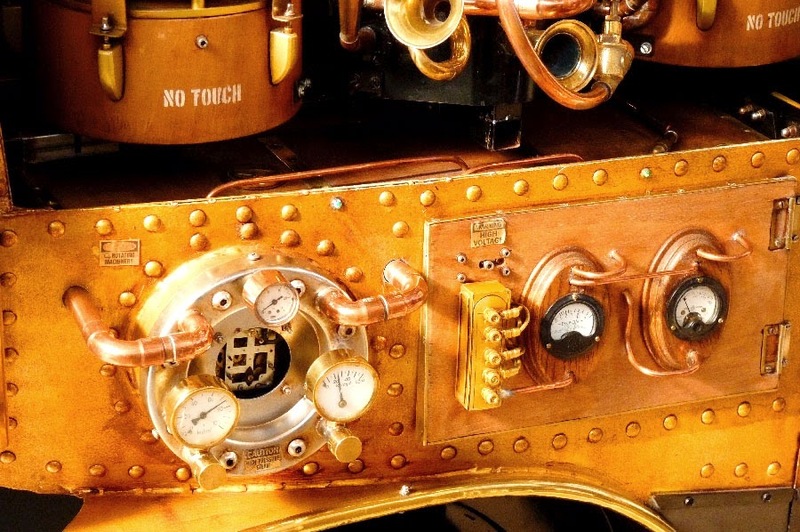 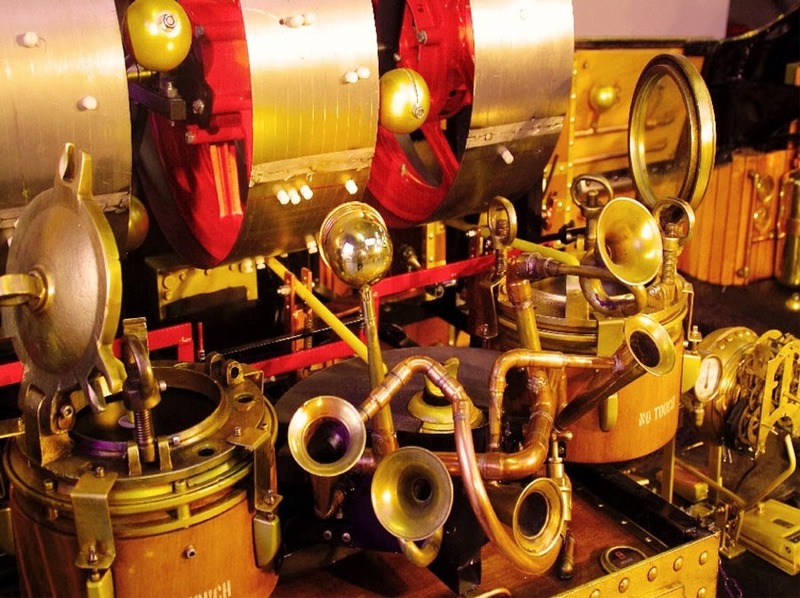 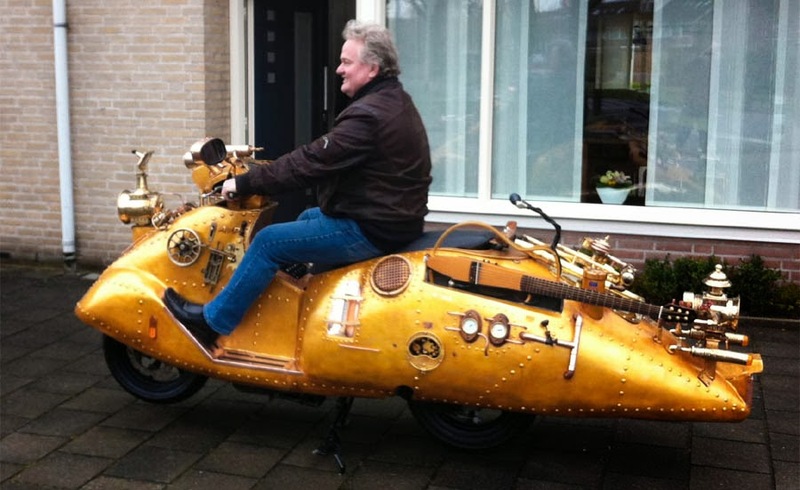 Taking Jules Verne's Style One Step Further: The Golden "Nautilus" Music Submarine! 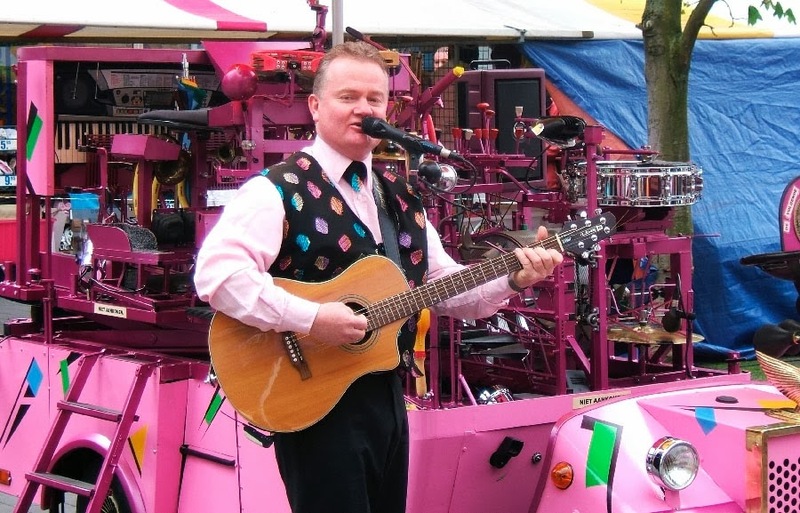 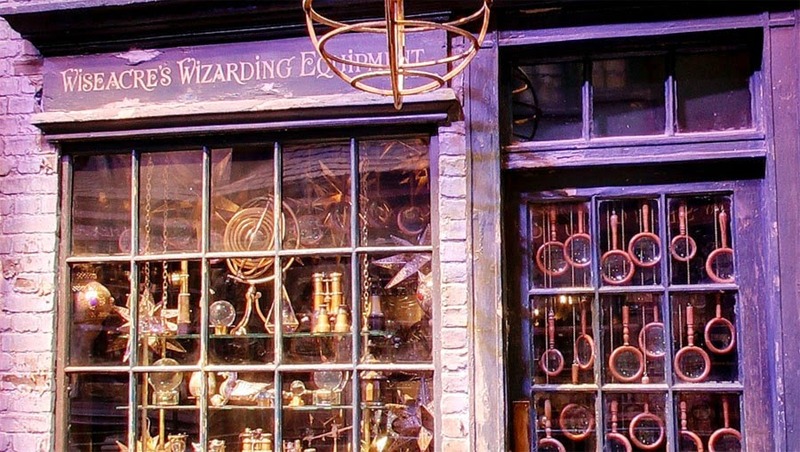 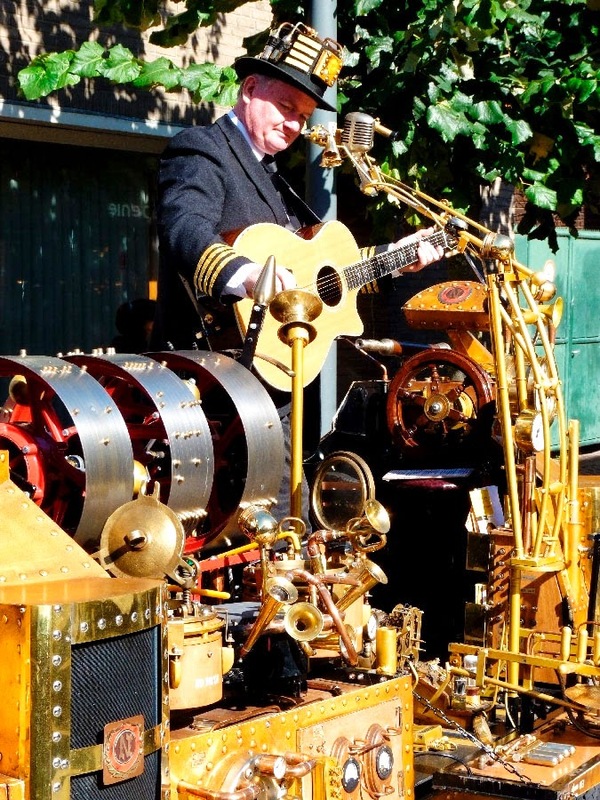 Marvelous Music Machines: Perfect for London!